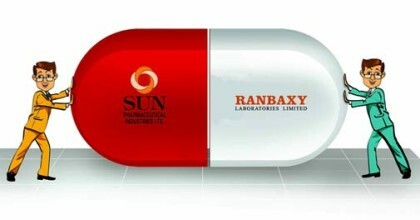 NEW DELHI: Sun Pharmaceutical Industries Ltd is selling erstwhile Ranbaxy’s two divisions in central nervous system (CNS) segment in India to Strides Arcolab for Rs 165 crore. Sun Pharma and Strides have entered into a definitive agreement related to erstwhile Ranbaxy’s ‘Solus’ and ‘Solus Care’ divisions operating in the central nervous system (CNS) segment in India, the company said in a statement. The agreement involves transfer of these two marketing divisions, along with employees to Strides for a consideration of Rs 165 crore, it added. Post successful completion of Ranbaxy’s merger, Sun had an opportunity to assess the entire portfolio of its India Business, he added. “We have evaluated each and every therapy segment that we are present in and how these businesses can grow going forward. Based on this evaluation, we firmly believe that the potential of Solus and Solus Care divisions can be greatly enhanced with the focus that Strides will put in growing them. The divestment will help these divisions, its customers and the team,” Gandhi said. Strides India President (Brands) Subroto Banerjee said, the acquisition of Solus and Solus Care divisions is of strategic significance to the growth of the company’s branded business in India. “The rich product portfolio and capable teams of these two divisions will help us establish a strong footing in the fast growing CNS market of India,” he said, adding the product portfolio of Strides and these divisions will strategically complement each other very well. “The speciality nature of CNS products makes brand equity and customer relationships, key determinants of success. The Solus and Solus Care divisions readily qualify for both these parameters,” Banerjee said. Sun Pharma said as per IMS July 2015 MAT report, all the products of these two divisions together accounted for approximately Rs 92 crore in sales. The transaction is subject to approval from the Competition Commission of India and other customary closing conditions while all other terms and conditions of the transaction are kept confidential. Earlier this month Sun Pharma had announced plans to sell a manufacturing facility in Ireland that was owned by Ranbaxy as part of its rationalisation programme post completion of their USD 4 billion merger.